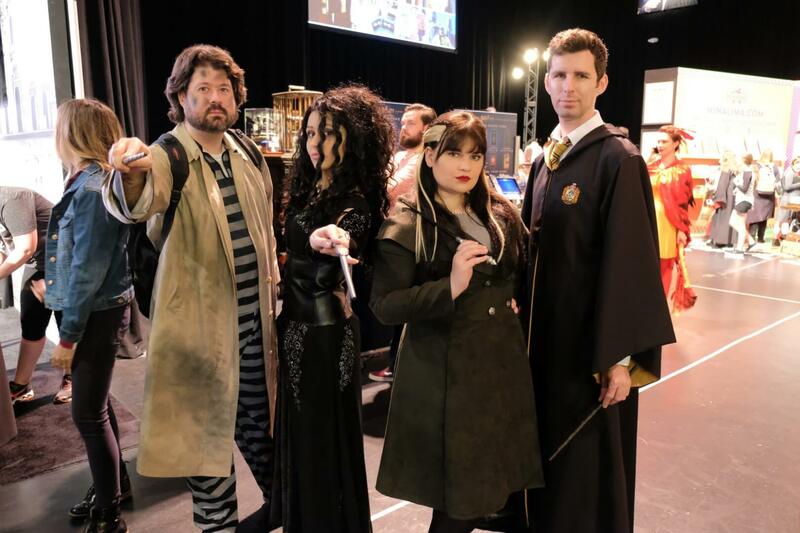 A Celebration of Harry Potter 2018 offered awesome new panels, amazing cosplay, interactive booths and the opportunity to fight off Death Eaters. A Celebration of Harry Potter first started at Universal Orlando back in 2014 and has since continued to celebrate Harry Potter fandom in exciting and immersive ways. The event, which is a collaboration between Universal Parks & Resorts, Warner Bros. Entertainment and Scholastic, includes celebrity Q&A’s, panels, and photo-ops with fans. 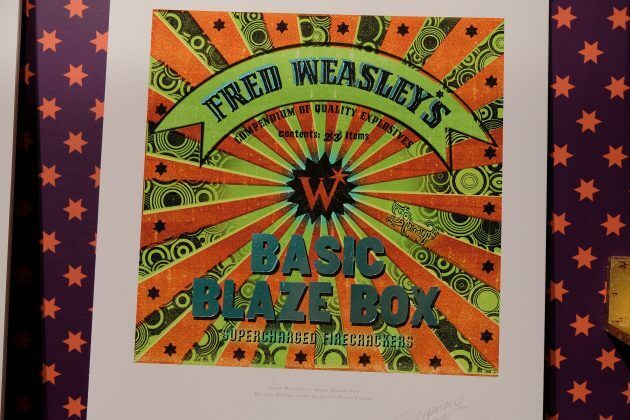 This year’s exhibitions, similar to those of years past, included those provided by Pottermore, Scholastic, MinaLima and Warner Brothers. 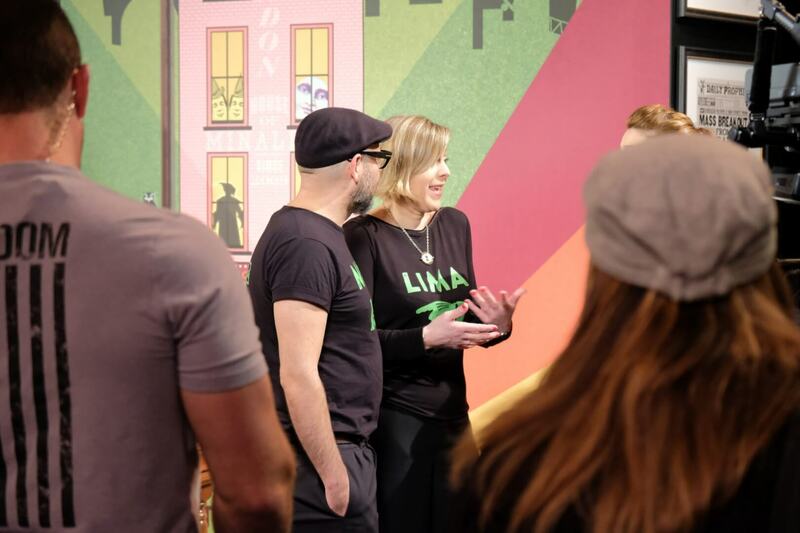 Take a look at some of the highlights of this year’s event below! 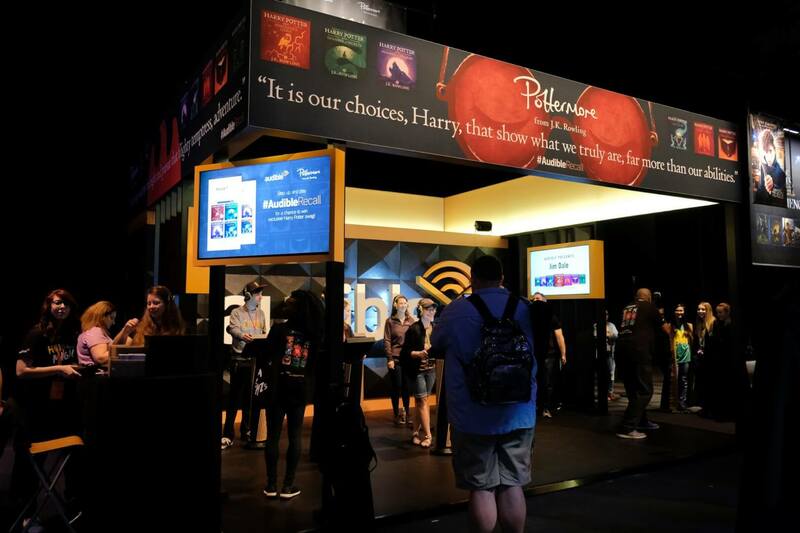 Audible, the well-known audiobook website’s booth was where guests could test their knowledge of the Harry Potter book series. 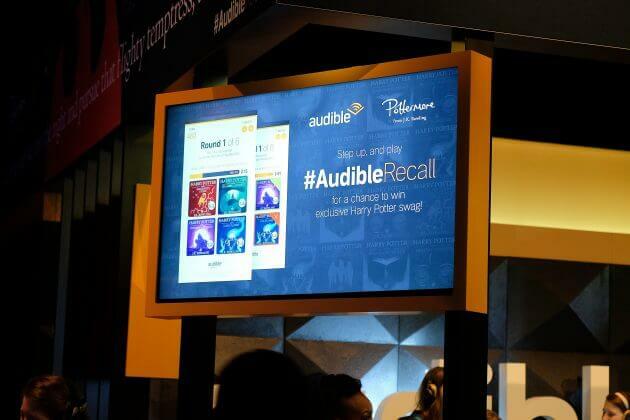 The booth held a Harry Potter edition of their interactive game, Audible Recall. Guests who stepped up to the challenge would place headphones on their head to listen to different lines from the Harry Potter books. 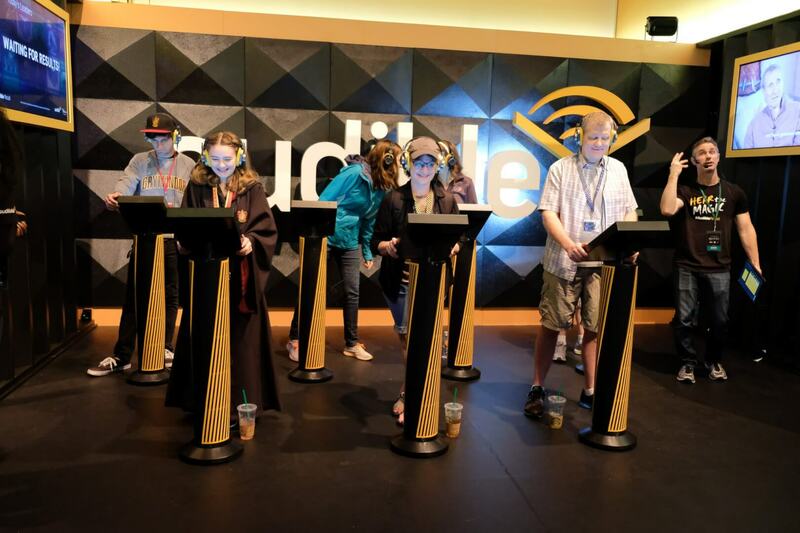 On the tablet in front of them was a list of four possible books the lines they were hearing could be from. The guest who properly selected the most proper lines won! “Harry Potter and the Cursed Child” was also present at the expo. At their booth guests could get an exclusive, never-before-seen look at the costumes, designs and imagery from the production. 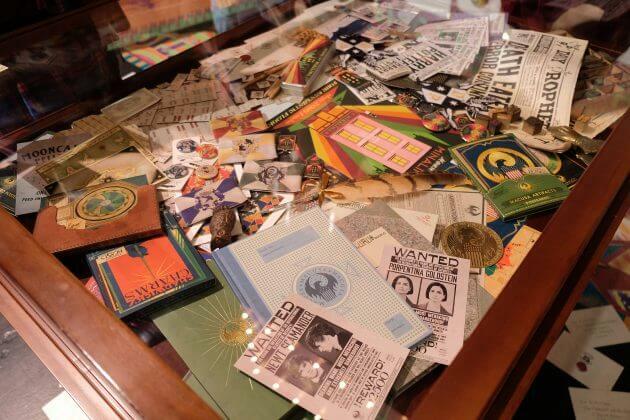 Along the walls of the booth were different facts about the making of the show and the different props on display. 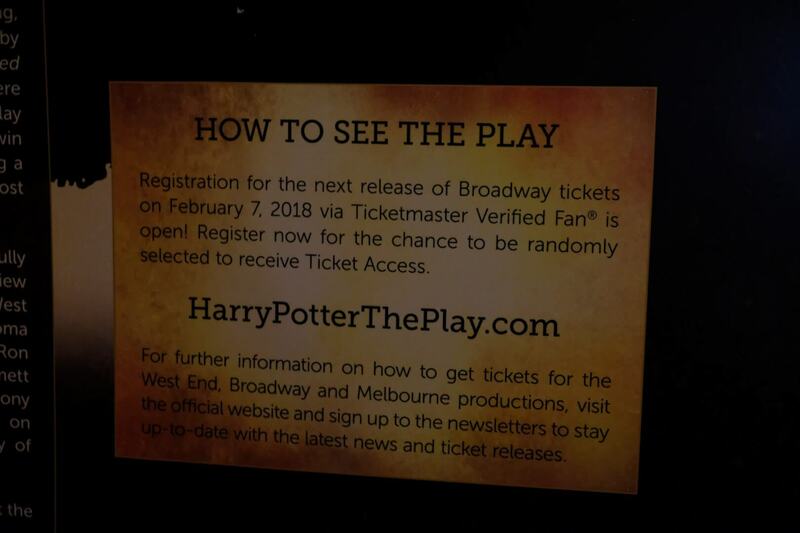 The booth was also where a few lucky guests could win tickets to the show when it hits Broadway in just a few weeks! During A Celebration of Harry Potter’s opening ceremony, it had been announced that the next Harry Potter The Exhibition would be held in Milan, Italy. 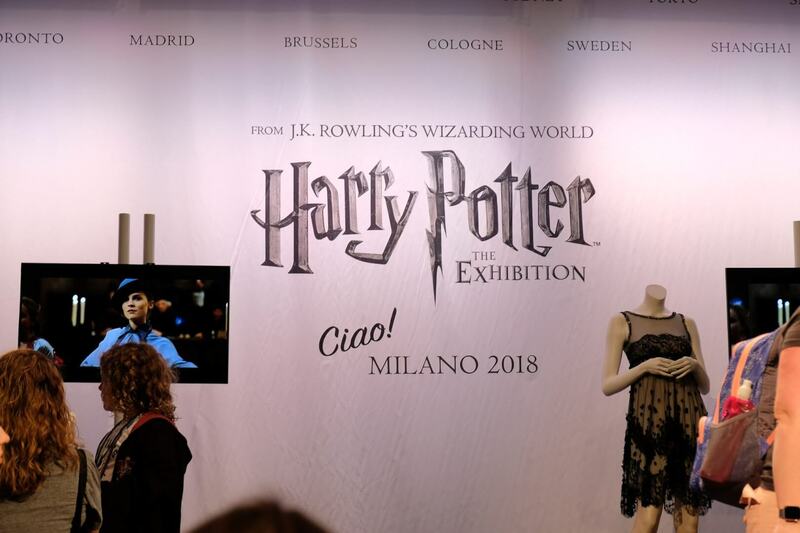 To celebrate this new location for the exhibition, a booth was set up to show off some of the film’s wardrobes featured in the actual exhibition. 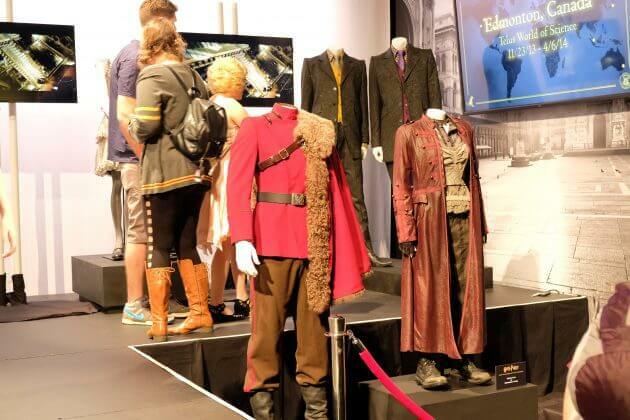 Some of these clothes featured at the booth included wardrobes warn by the Weasley twins, Viktor Krum, Nymphadora Lupin and Hermione. 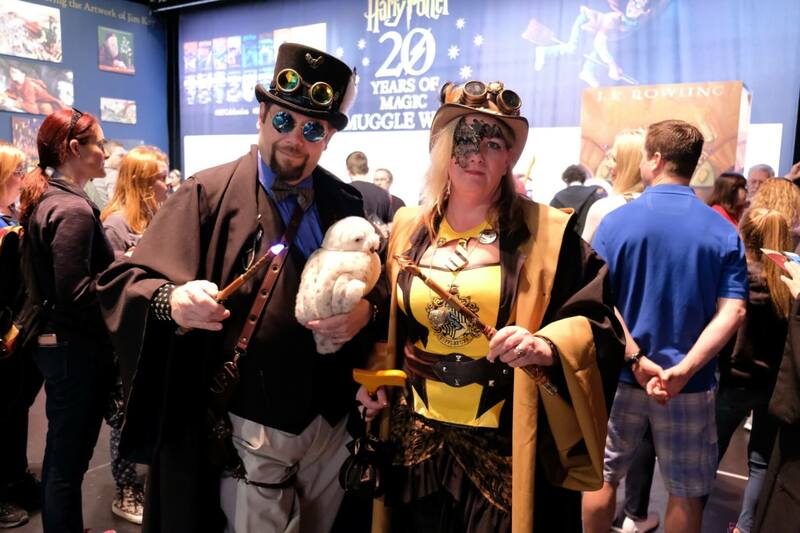 Guests who visited the booth not only got to see the special clothes up close, but they were also given the opportunity to pose for pictures with some of these famous costumes. 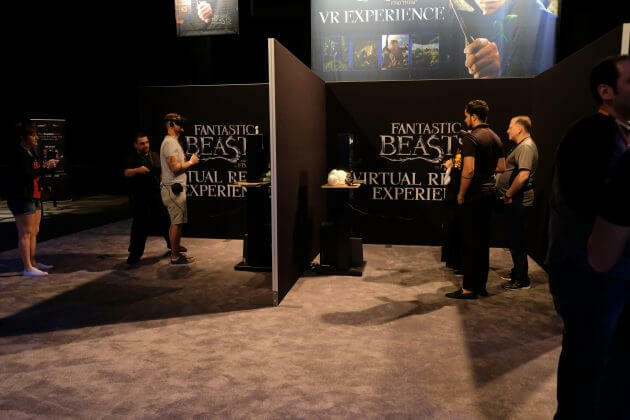 Available at last year’s expo, Fantastic Beasts and Where to Find Them VR Experience returned to this year’s event to celebrate the fact that it is now available across multiple platforms, including the HTC Vive, Google Daydream, Oculus Rift and Samsung Gear VR. 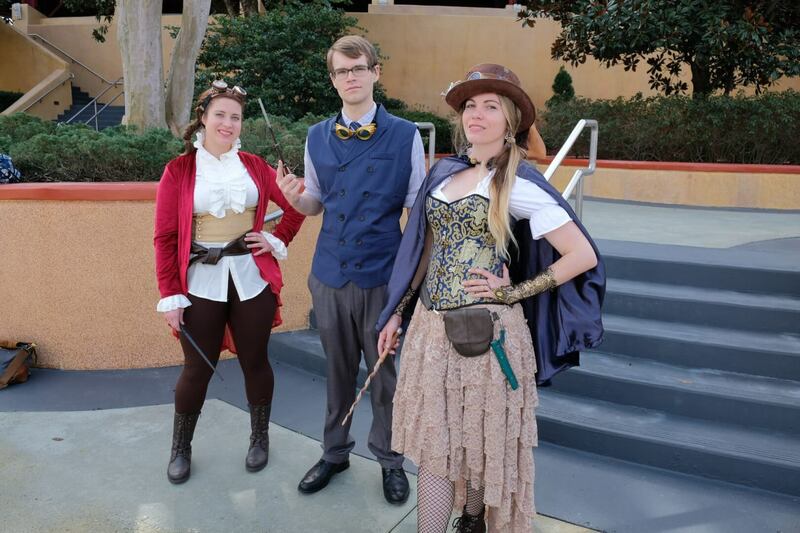 Similar to last year, guests got to step up and immerse themselves in Newt Scamander’s world while encountering magical creatures and spells. 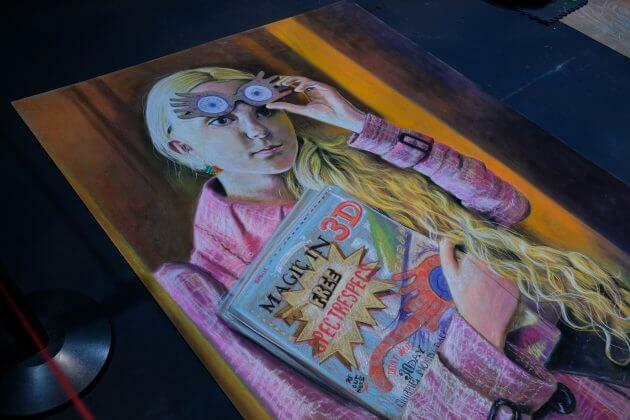 For fans who are more creative, the Expo room also featured live chalk drawing. One of the finished pieces on display was a stunning and colorful mural of Luna Lovegood. 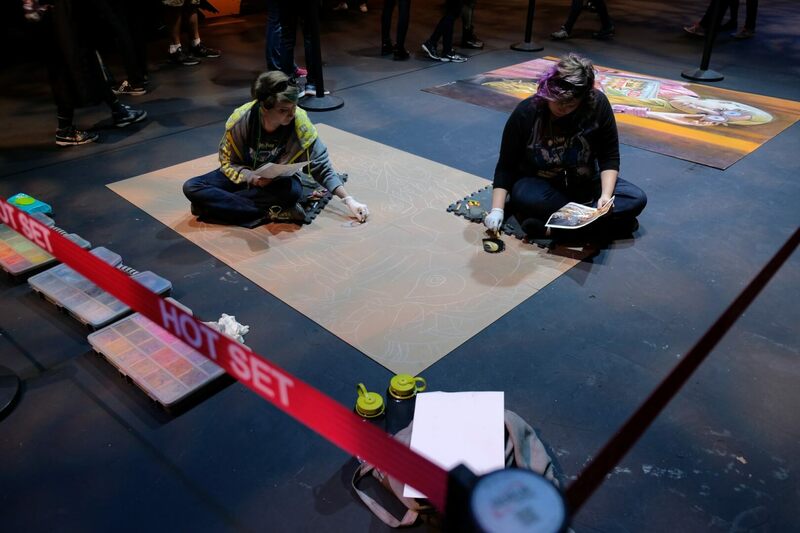 The professional artists could be seen all weekend long as they continued to draw new murals throughout each day of the celebration. 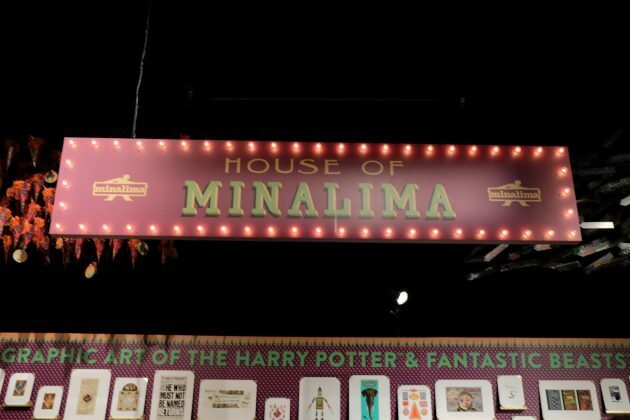 The House of MinaLima, the creative visionaries behind the intricate and stunning graphic work found in all eight of the Harry Potter films, was also present at the expo. The House of MinaLima, which contains much of the artwork they created for the Harry Potter films, opened back in 2009. 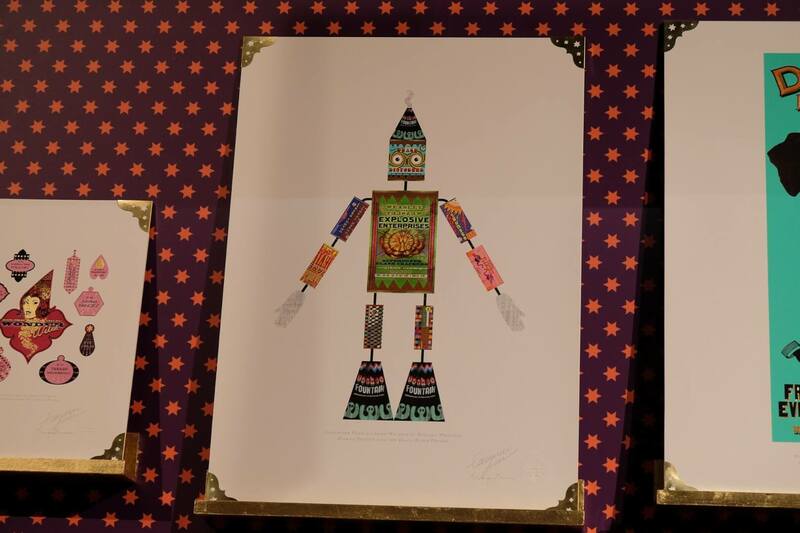 At the expo the pair showed off some of their incredible graphics, some of which could be purchased. 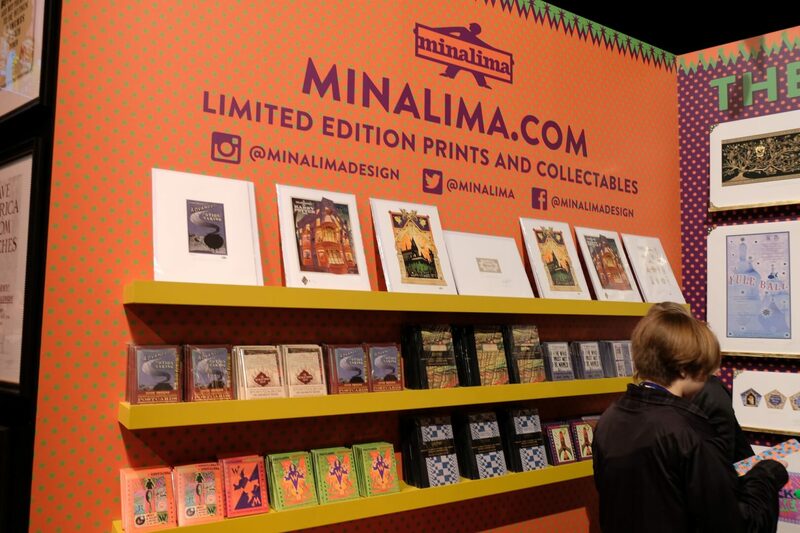 Miraphora Mina and Eduardo Lima were also present at their booth to sign autographs and pose for pictures with visitors. Besides the amazing booths found in both Studio 21 and 33, A Celebration of Harry Potter also included a bunch of interactive and fun panels. Some of the new panels that were offered at this year’s event included Behind-the-Scenes with Award Winning Special Effects Supervisor, John Richardson and the Graphic Design for Film: Creating the Weasleys’ Wizard Wheezes. Behind-the-Scenes with Award Winning Special Effects Supervisor, John Richardson gave guests a special look at some of the movie magic that has been a part of the eight blockbuster films. 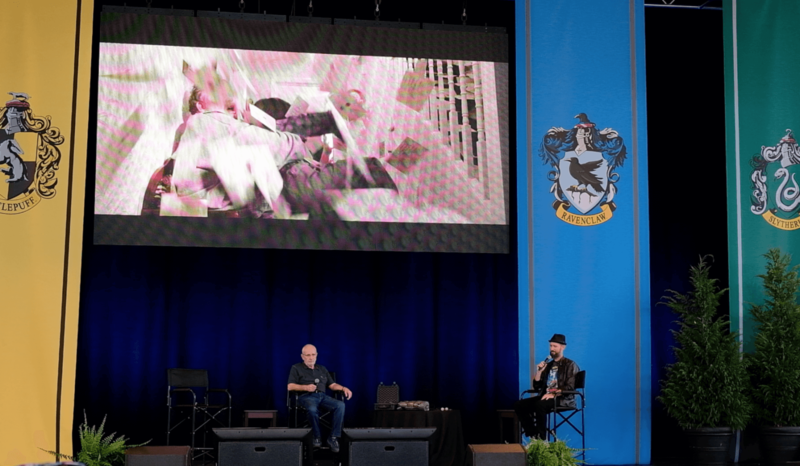 During the panel Richardson revealed the movie magic behind the iconic scene in the first film when Harry receives his invitation to study at Hogwarts, when hundreds of letters flood the living room of the Dursley’s home. 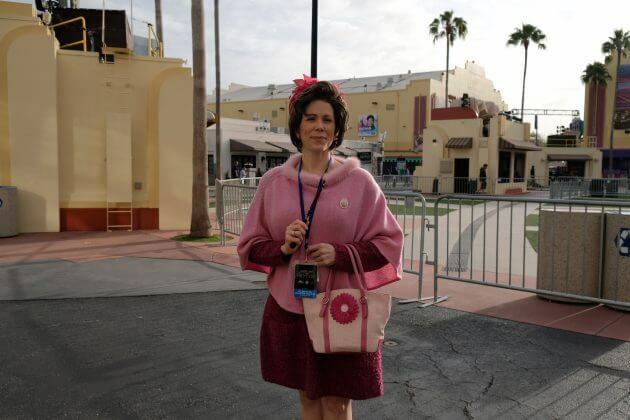 Richardson explained that to create this scene it took three days of shooting with the cast and a few additional days of shooting the close up insert shots. 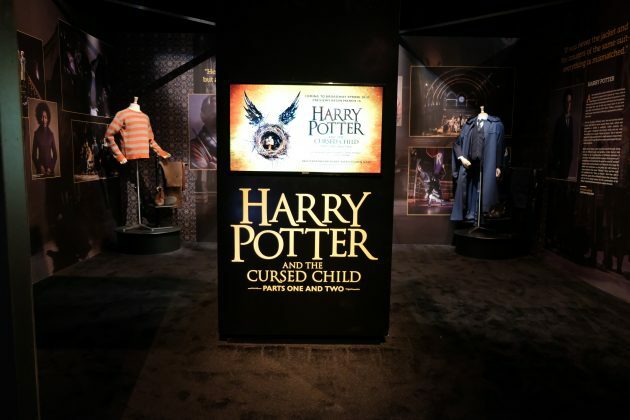 The way the letters were able to fly into the room so quickly was with the help of stage hands who actually threw the letters over the walls of the room onto the set. Most also remember from this scene the front door, which had the letters shooting through it. This was done with a special gun that was able to shoot the letters quickly and continuously through the door. Another piece of movie magic touched upon during the panel was the Polyjuice Potion. 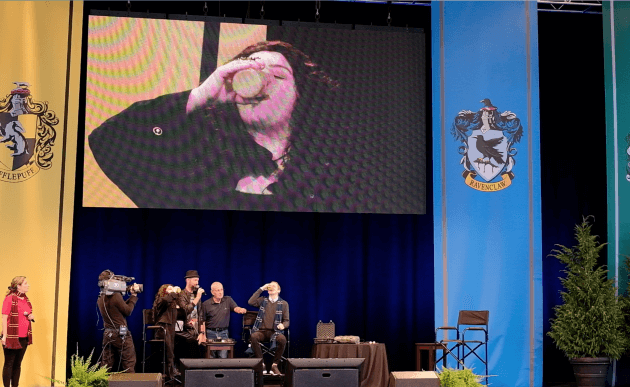 Richardson brought some Polyjuice to the panel to show off. 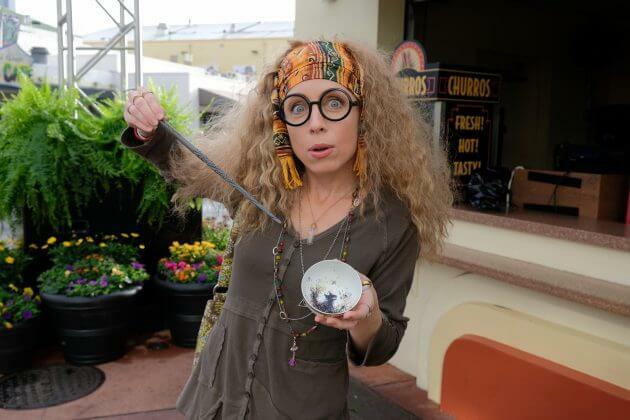 The juice was made with various and disgusting soups and it was designed to look very lumpy and cold. 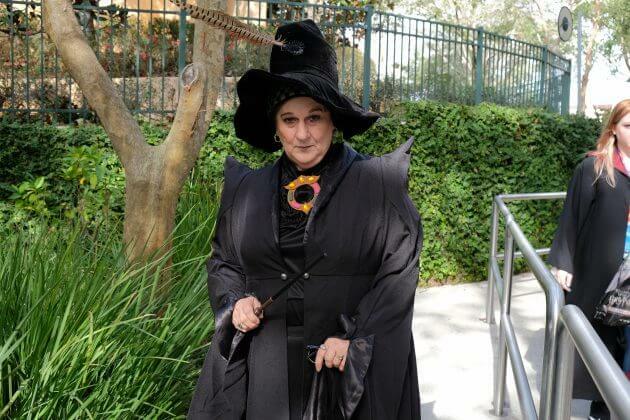 Richardson also revealed that the actors didn’t taste the juice until their scene with the juice was shot, which of course created the disgusted reactions by the actors in the film. Then Richardson invited a few audience members to come on stage to try the juice for themselves. 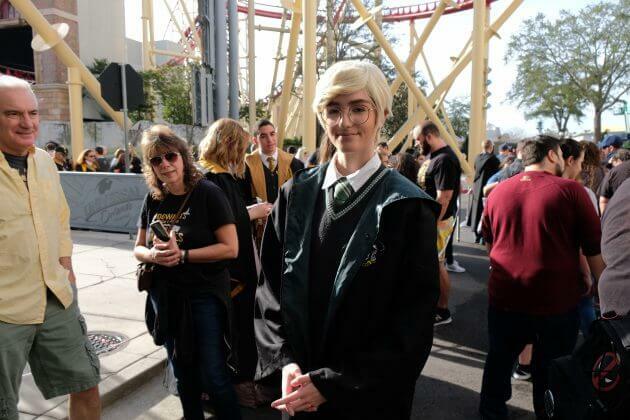 Both audience member’s reactions were priceless. After going through other special effects, film star Natalia Tena (Nymphadora Lupin) came on stage to ask Richardson a few of her own questions about some of the magical happenings that had occurred on set of the films. 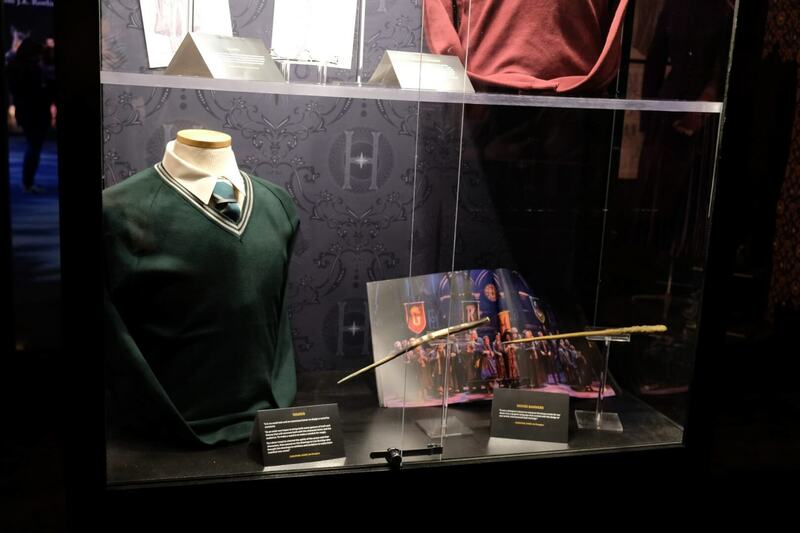 One question, which had the audience laughing, was about the creation of the flying broom sticks the cast had to sit on for flight scenes. Richardson explained that Tena was one of the lucky ones as special molding of the cast’s butts were made by the time she joined the films to make the stars more comfortable, before this they had small uncomfortable seats. 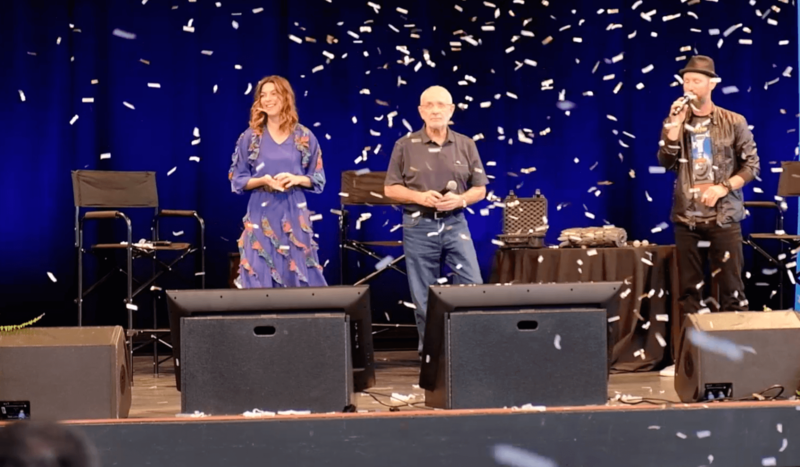 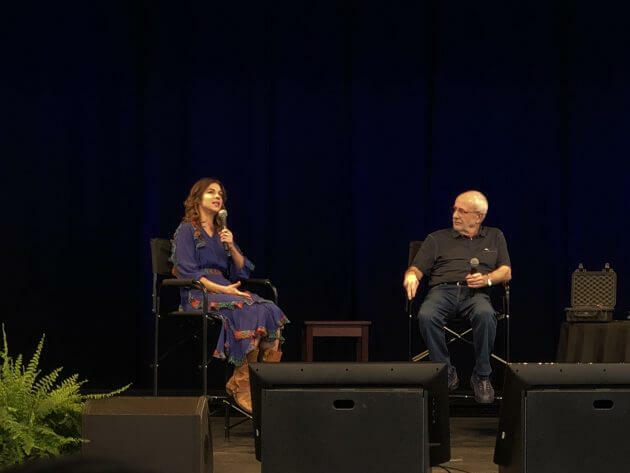 After chatting about a few other special effects, Richardson and Tena ended the panel by getting up and doing a special effect live for the audience. This included the wave of a special wand which caused for confetti to burst over the audience. For a special look at the effect, check out the video above. 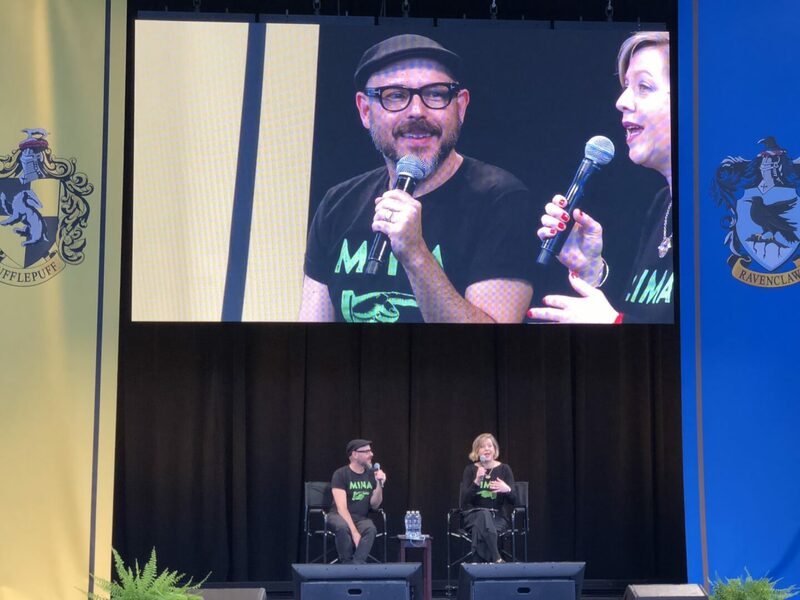 Another new panel featured at this year’s A Celebration of Harry Potter was the Graphic Design for the Harry Potter Films: Creating the Weasleys’ panel, hosted by Eduardo Lima and Miraphora Mina of MinaLima. During this special presentation, the creative duo discussed some behind-the-scenes information about the creation of some of the graphics they made for the films and how they got started together in the industry. 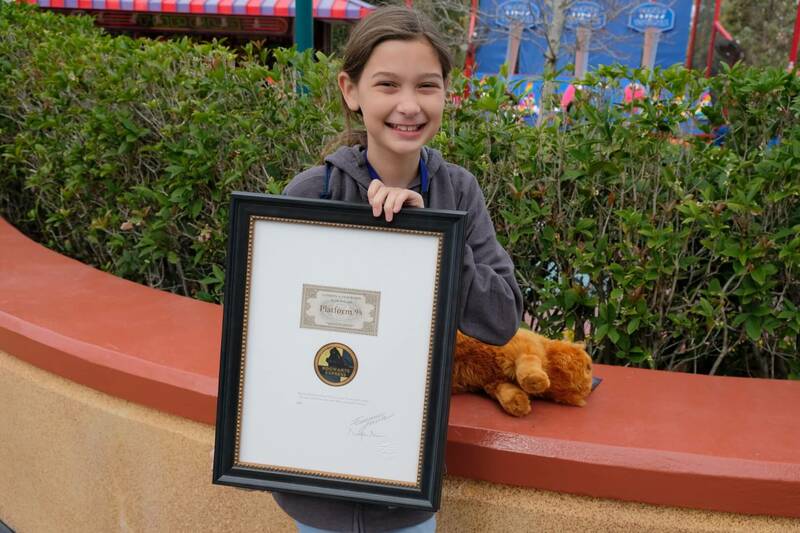 Similar to Richardson’s panel, the duo talked about the letters used in the first film’s iconic flying letter scene. Mina explained that the two of them actually made all of the letters used in that scene themselves. 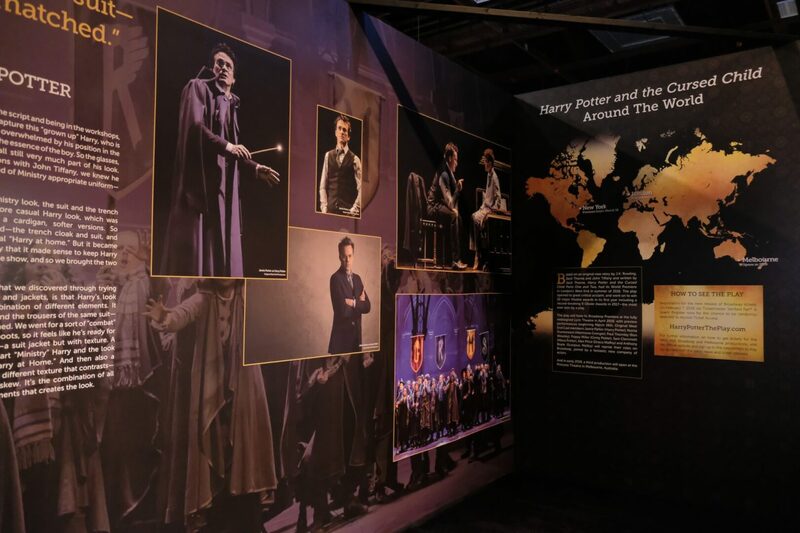 They also shared that of all the props they worked on, the Marauder’s Map was their favorite because it was so involved and demanding and it kept getting developed over the films following the first one it premiered in. 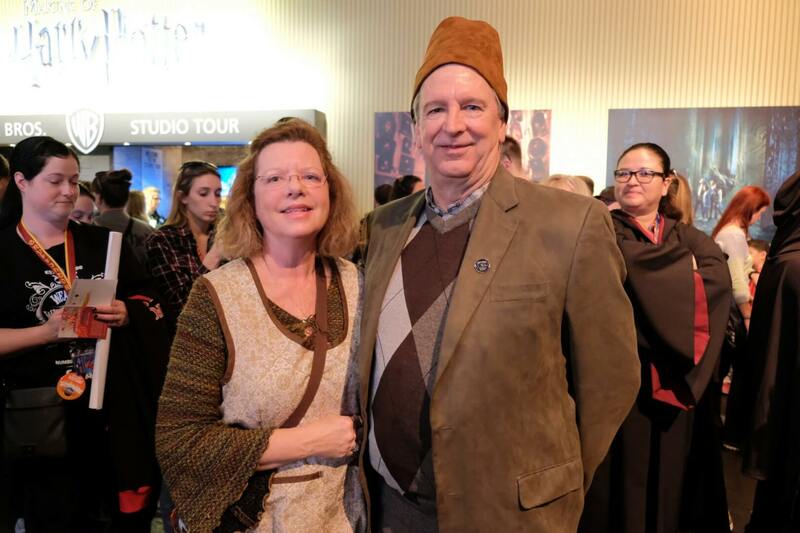 After discussing a few more props, the pair brought out one special prop, the original ticket to Hogwarts 9 3/4 platform used in the first film. Not only did they show off the special and iconic prop but one lucky audience member actually got to take it home by correctly answering some Harry Potter Trivia. One last experience that has occurred in the past but was brought back to this year’s celebration was Wand Combat Skills with Paul Harris. 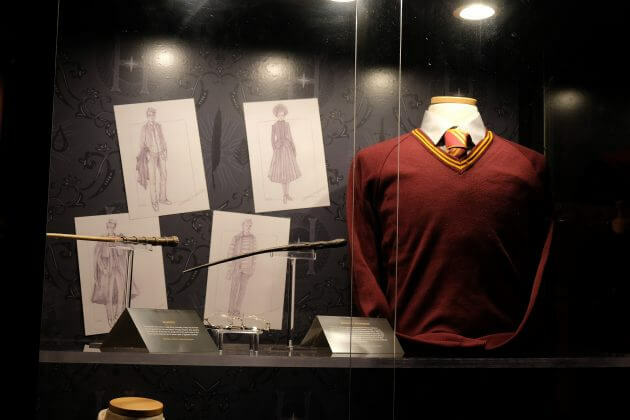 For those who don’t know, Harris is a famous choreographer and also the man behind the incredible wand fight sequences from the Potter films. 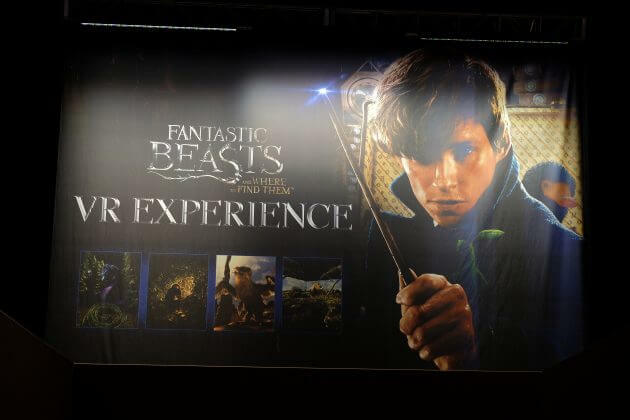 Similar to years past, Harris gave visitors to the celebration a special lesson in some of the wand movements used in the film. 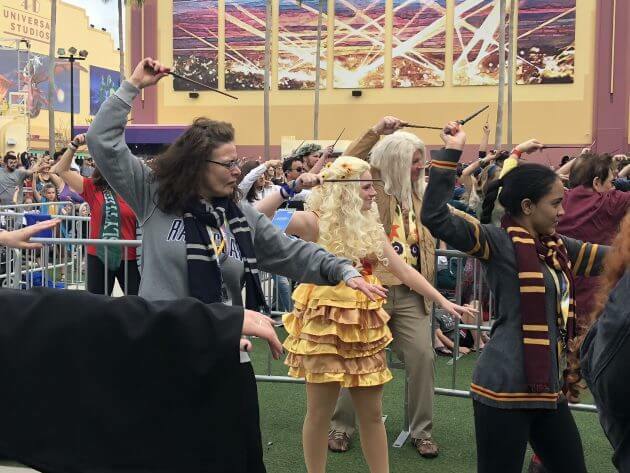 One special moment from this year’s Wand Combat Skills class though was when guests got to test out their newly learned wand skills on Death Eaters. 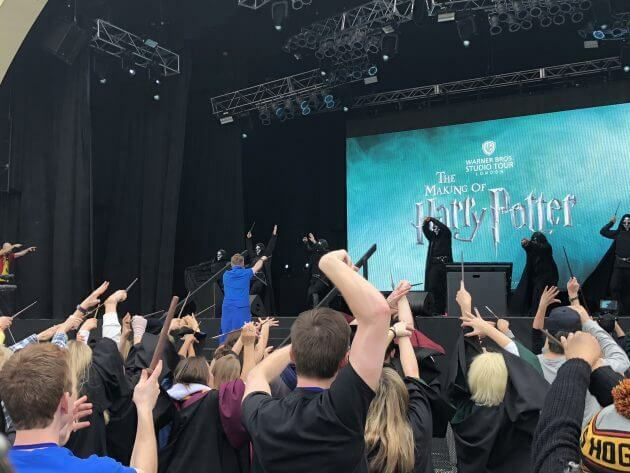 At the end of the class, Harris brought the Death Eaters out onto special stages in the crowd for guests to yield their wand movements at. 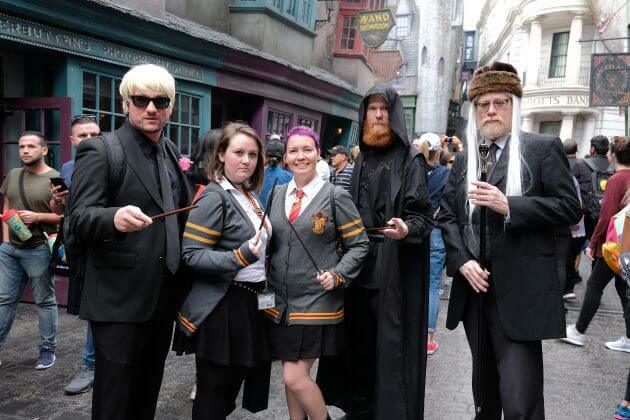 The Death Eaters didn’t stand a chance and all of them ended up on their backs. After successfully bringing down the Death Eaters in the crowd, Harris moved them back on to the main stage for one last attack from the crowd. Again, the crowd was able to successfully bring down the evil Death Eaters. 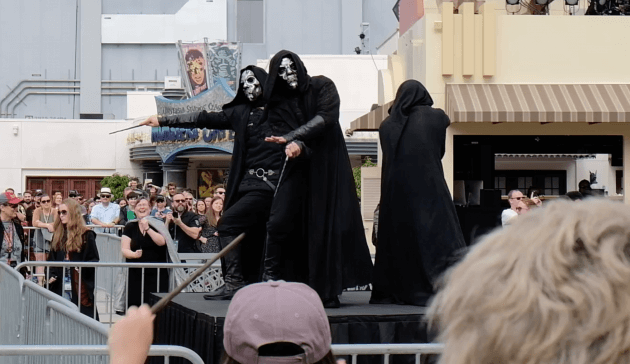 Cheers and laughter could be heard outside of the Main Plaza Stage as the Death Eaters left the stage after being defeated by the new wizards. One last and awesome part of this magical weekend had to be the cosplay. 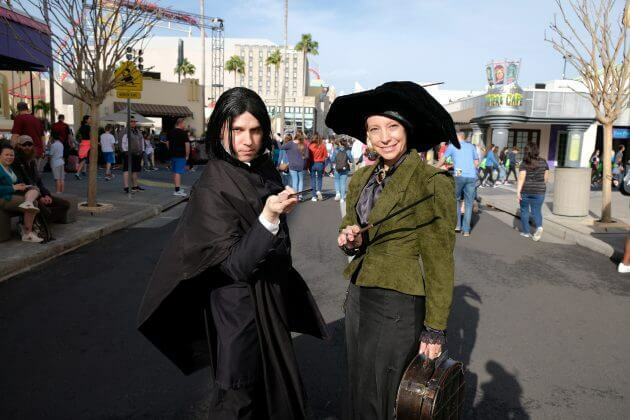 Every year for the celebration guests to Universal Orlando are encouraged to dress up as their favorite characters from the films. 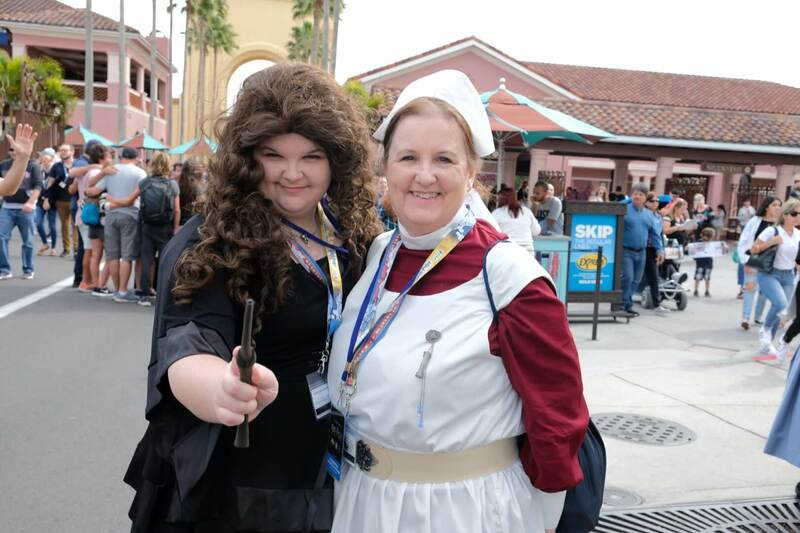 One of the most popular of the weekend had to be Bellatrix Lestrange, most famously known for trying to assist he who shall not be named in the last film to destroy Harry and his friends. 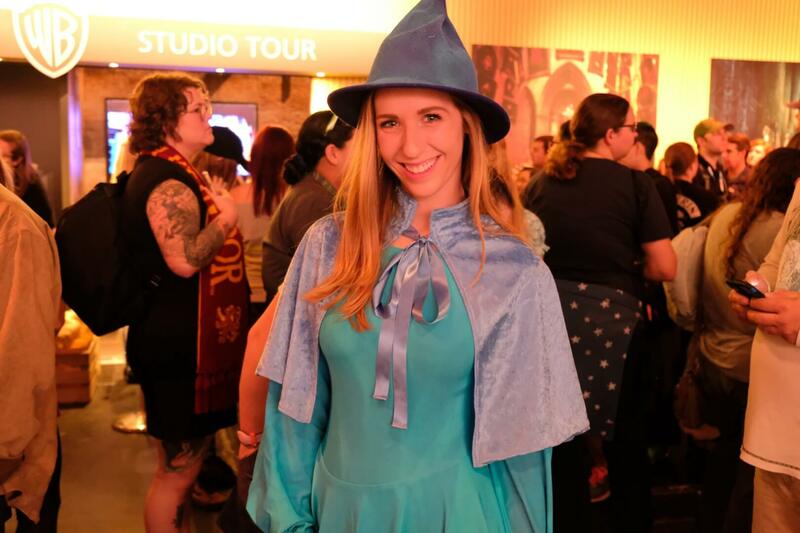 Take a look at some of the awesome costumes below. 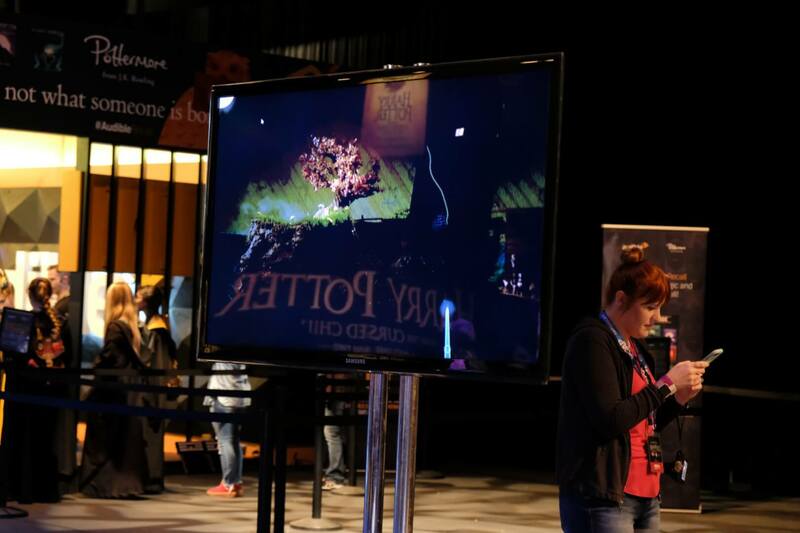 Also be sure to check out our video above, which shows guests fully immersed in their characters. 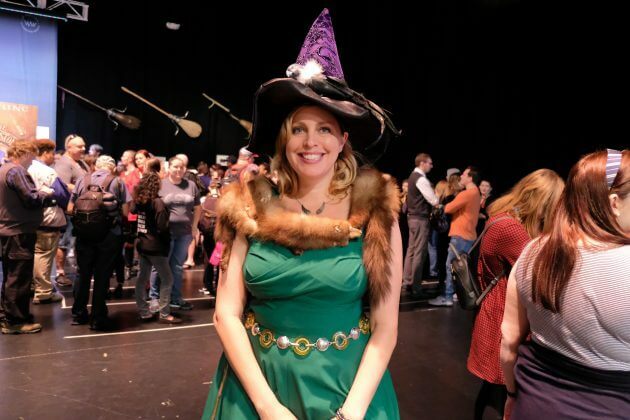 A Celebration of Harry Potter was celebrated this past weekend from January 26 – 28. For more information about the event, check out the official website.